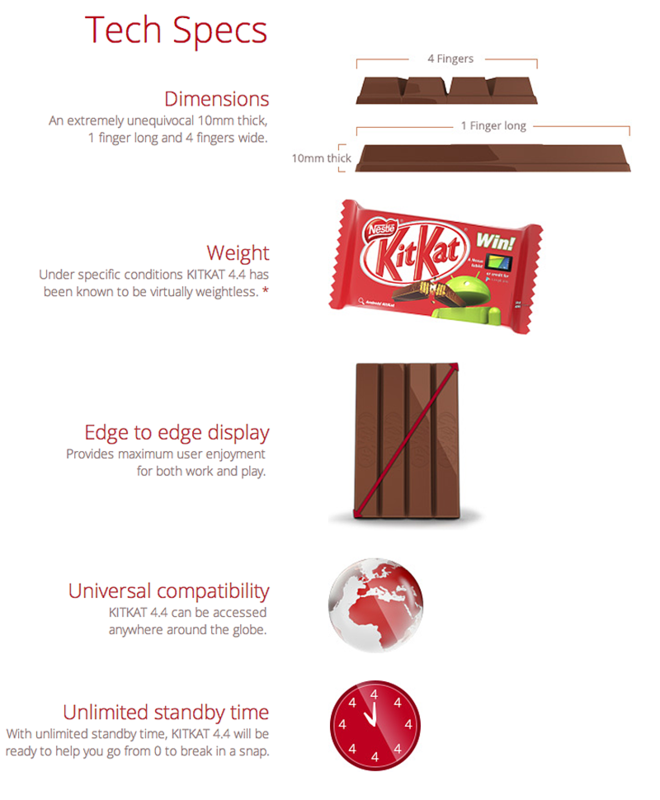 If It's Hip, It's Here (Archives): Sweet Co-Branding: Google and Nestlé Give Us The Android Kit Kat. 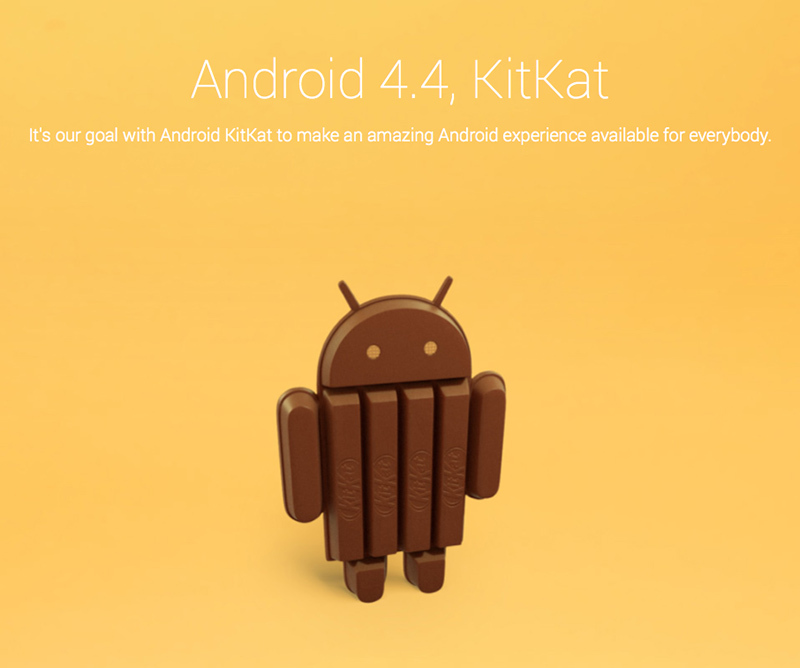 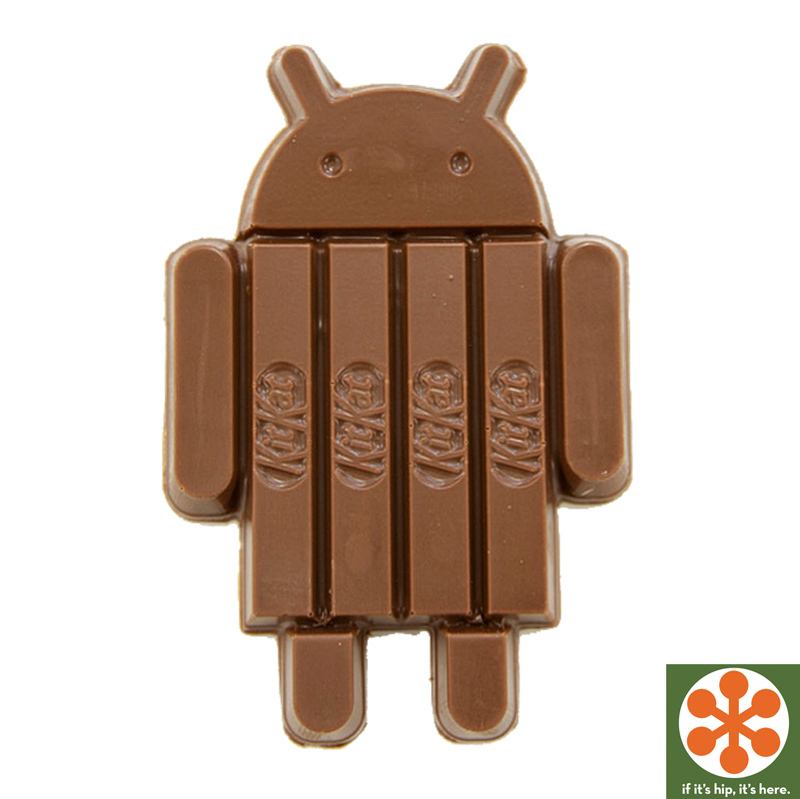 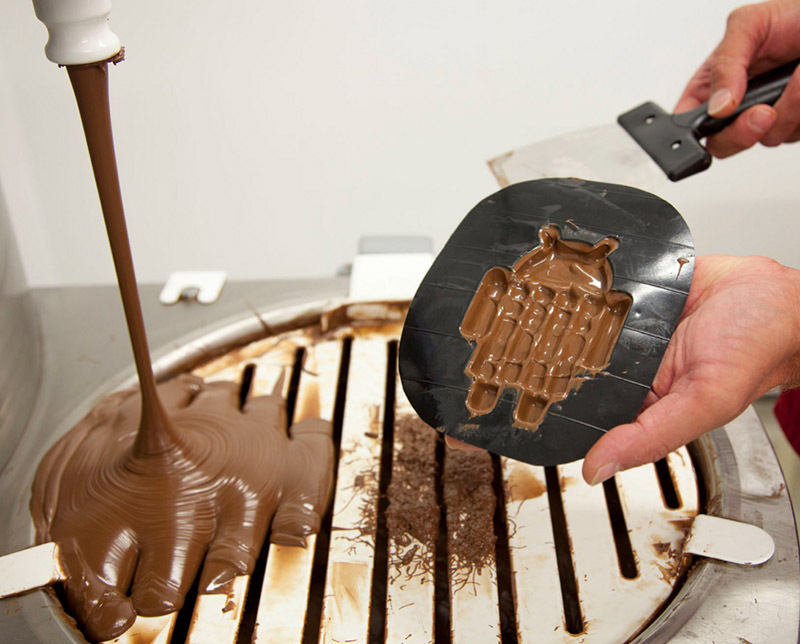 Sweet Co-Branding: Google and Nestlé Give Us The Android Kit Kat. 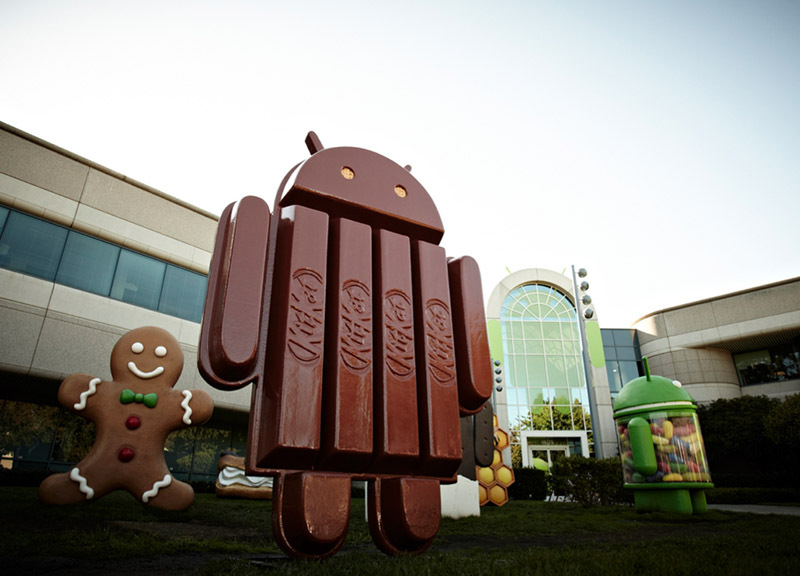 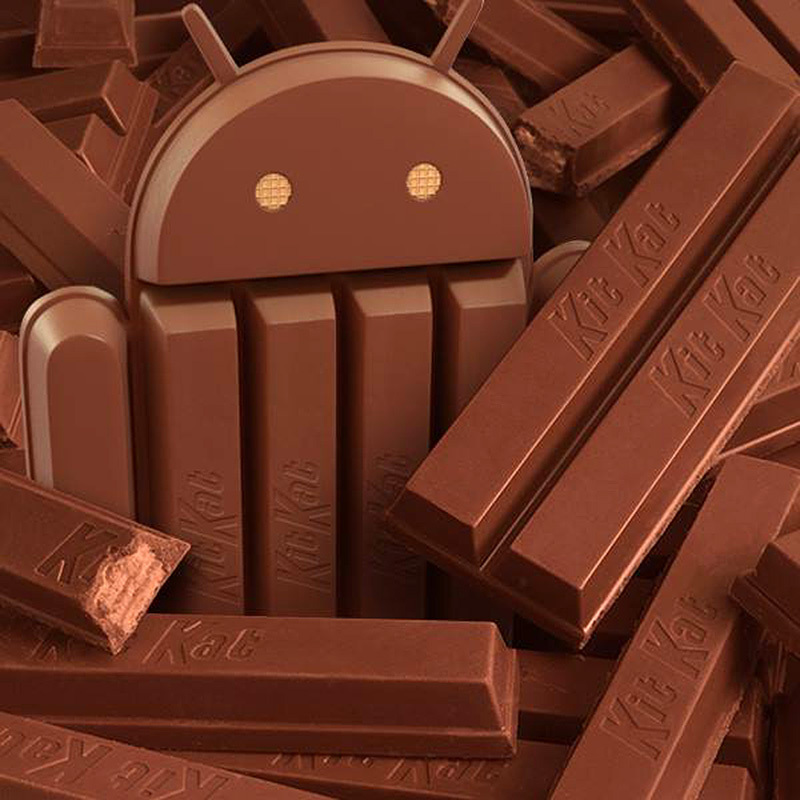 To mark the release of Android KitKat, the latest operating system from Google, more than 50 million specially branded KitKat bars shaped like the Android mascot, will be available in 19 countries including Australia, Brazil, Germany, India, Japan, Dubai, Russia, the United Kingdom and the United States. 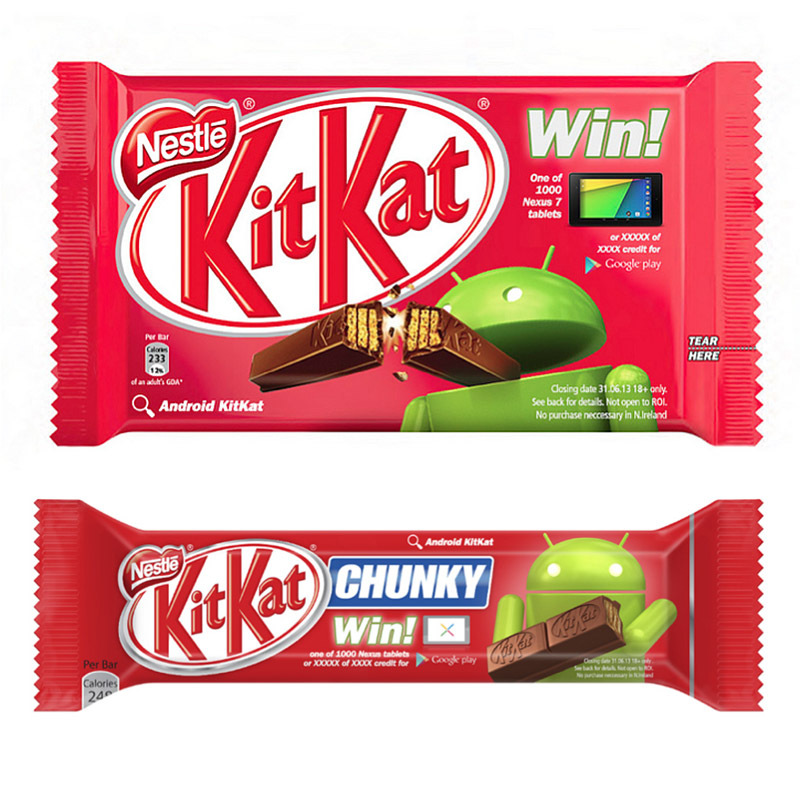 “We’re excited to announce this partnership with Android, the world's most popular mobile platform, which will help us to enable even more KitKat fans to enjoy their break,” said Patrice Bula, Nestlé’s Head of Marketing. 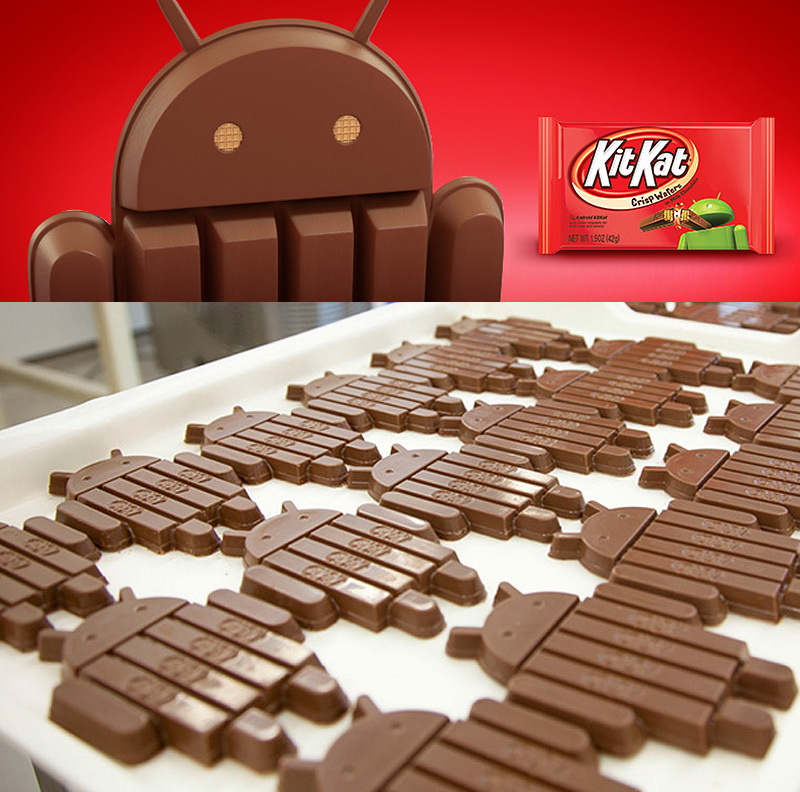 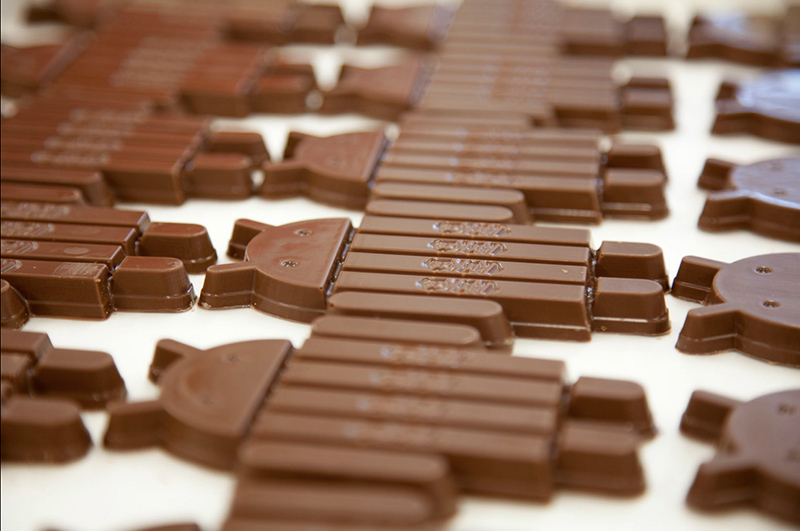 above: A small number of Android robot-shaped KitKat bars will also be offered as prizes in addition to the 50 million created. 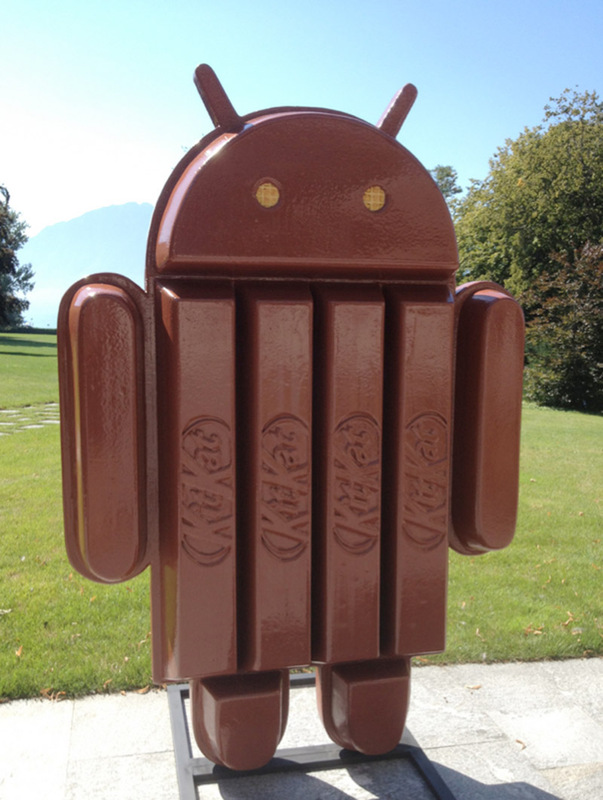 above: The Android KitKat robot arrives at Nestlé headquarters in Vevey, Switzerland.